You may well need additional funding for your small business to move it forward. It is crucial that you understand the different types of funding available and make the choices that are right both for now and for when your business does grow. A recent blog outlined some ways to help you secure funding for your small business, and another blog highlighted some things to watch out for in terms of misleading lending. Do your research and be sure that you are getting both the right type of finance for your business expansion and the best deal that you can. You believe passionately in your business and are thinking big! But to enable that dream to become a reality you need to market your business really well so that people know you’re there. In this digital age, good web presence is vital. A website that truly reflects your brand, effective and consistent use of social media, and making use of the intelligence that can be gleaned on your target market is essential for your business to grow. No matter how passionate you are about your product or service, it is always a good idea to consider diversification if you want to expand your business. This does not necessarily need to be dramatic; it may be a case of just either offering complementary products or services that fit with your existing range or perhaps to market your expertise for training or consultancy purposes. Either of these strands can lead to business growth and expansion. A key aspect of any business expansion strategy is to ensure that you have the systems and processes in place to cater for that expansion. It can be easy to get caught up in the enthusiasm of the Big Picture and forget about something as humdrum as “dotting the i’s and crossing the t’s”! But you need to ensure that all your logistics - be it supply chain or staffing or IT - are ready to support and sustain your business growth. Last - but by no means least! - you need to find like-minded people to help you take your business forward! People that share your vision and passion and that will be a valuable asset to help you make things happen. As soon as you start employing others in your business, everything becomes more complex. You need to be sure that you are fully prepared to be an employer, with the financial and legal implications that entails. We hope that we have given you food for thought in terms of expanding your business. 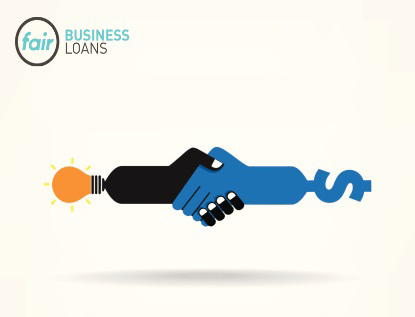 For further help and advice on any of the above - and in particular to discuss funding for small businesses - contact Fair Business Loans today!